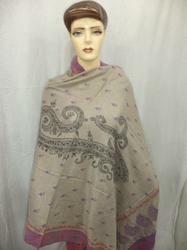 We offer 100% hand- woven pashmina shawls in full length. Woven by the best artisans of Kashmir with their magical fingers, these shawls are a true representation of Indian heritage & Kashmir''s rich workmanship. 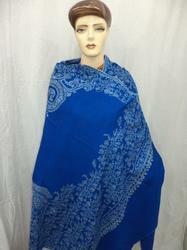 Our shawls are available in single colors & in variety of intricate / floral /paisley designs with innumerable color combination. Being 100% hand-made every piece of shawl is different from other and has its own uniqueness. 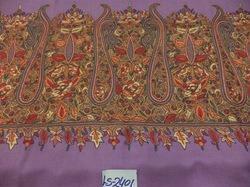 One piece of shawl takes one year to be completed using one artisan''s effort. Our shawls are available in two major work variety, i.e., Kanni jammas & Needle work that are famous for intricate craftsmanship. Kashmir is famous for its craftsmanship in whole world as they can make such a lovely things which is incredible to believe how it is possible to make such an intricate needle work by hand in paisley, all-over and in geometrical designs. 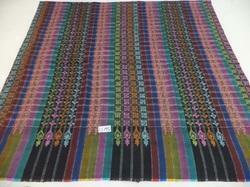 We have lot of varieties in 100% pure hand-loom pashmina in full length shawls that are available in 100x200cms size. 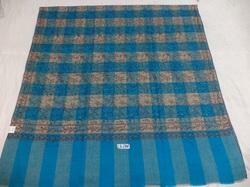 The two main varieties of shawls we offer are Kanni jamma & Needle Work shawls. The work elaborates designs all across the body / the borders / center pattern / All-over and full designs. The intricate Hand needle work in paisley and Kanni Jamma works are popular for vivid colour combination & fineness of work. 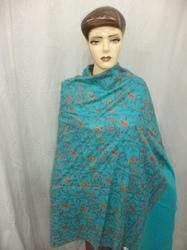 100% pure hand-woven pashmina multi box designs with Sozni work shawls from Kashmir. 100% Pashmina with hand needle work shawl with intricate small intricate paisley all overs shawls.Available in stock in assorted colors. Kashmir is famous for its craftsmanship in whole world as they can make such a lovely things which is incredible to believe how it is possible to make such an intricate needle work by hand in paisley, all-over and in geometrical designs. We have lot of varieties in 100% pure hand-loom embroidered pashmina shawls in full length that are available in 100x200cms size in Needle Work shawls. The work elaborates designs all across the body / the borders / center pattern / All-over and full designs. 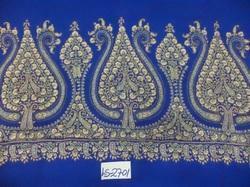 The intricate Hand needle work are popular for vivid colour combination & fineness of work. We offer you widest variety of hand-embroidered Sozni work pashmina shawls,stoles,scarves from Kashmir in exclusive traditional designs made by best artisans of Kashmir. print with needle work outing designs. 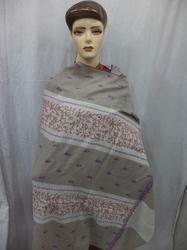 We offer you 100% pure pashmina hand printed with hand-needle work full outing shawls made by our best artisans of Kashmir in all Ethnic,traditional Designs to give exceptional look to our precious shawls which are gifted to Generation to generations. Colour Combination: ALL Natural,black,maroon,reds and other colors. We offer you hand spun and hand woven self stripes with inricate big paisley border shawls in 100x200 cms.Always available in assorted colors and designs. 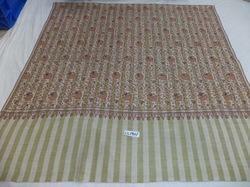 We have wide ranges of hand spun hand wooven stripes with hand-embroidered needle work all overs designed shawls.Always available in assorted colors and designs in 100x200 cms. 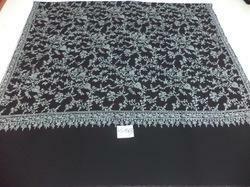 We offer you 100% pure hand spun hand woven hand embroidered contrast border with needle work shawls.Available in assorted colors and designs. 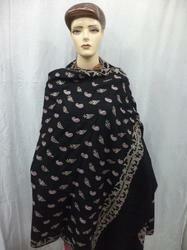 100% pure Hand woven pashmina with heavy hand-embriodered border shawls made by mastercraftmen from Kashmir. 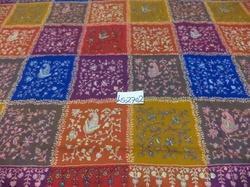 Natural colour hand woven border with needle work all over shawls from kashmir in 100x200 cms. 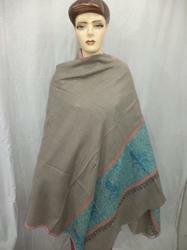 We offer you 100% hand made Natural colour Cashmere pashmina shawls in Traditional designs of Kashmir in intricate All over designs which are unique,precious and fine example of Kashmiri craftsmen ship. 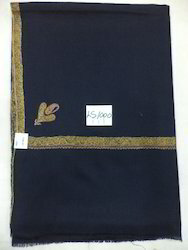 Black Pure Pashmina all over Needle Work Hand embroidered Sozni work shawls from Kashmir in assorted colors and designs. 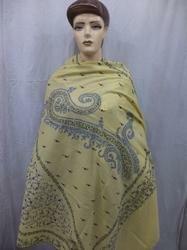 We offer you 100% pure pashmina cashmere with designer border shawls size 100x200 cm. 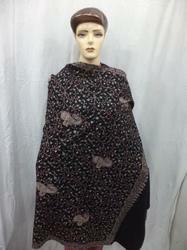 we offer you hand spun hand woven Pure pashmina heavy hand-embroidered sozni work Big Paisley border shawls made by best artisans of Kashmir. 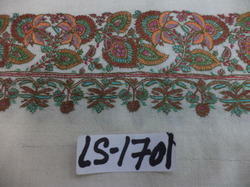 We offer your best and fine quality pure pashmina with kashmiri traditional hashidar and 4 corners shawls. 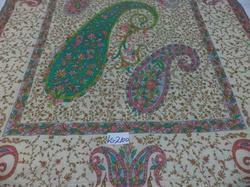 Always available in stock in assorted colors and designs size 100x200 cms. 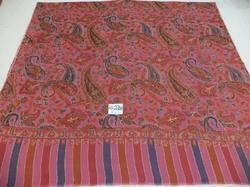 We offer your 100% pure hand-woven pashmina with hand-printed with hand needle work outing All over design shawls size 100x200 cms.Available in assorted colors and designs. Packaging Details: SINGLE POLYBAG PACKING.